Now I don’t know about you but I am a real list maker, I have all sorts of notebooks for various lists such as my blog, work and then just a general to-do list. Outfit planning normally falls into both To-do and blog notebooks as it’s all about planning looks for shoots and of course planning outfits for weekends out with the girls! All incredibly important don’t you know. I was recently contacted by Lyst who are a fashion site offering their customers some where to shop designers and stores all in one place! As well as this there are options to create lists of things you want to buy, follow your favourite brands and be the first to see the newest trends and latest looks. 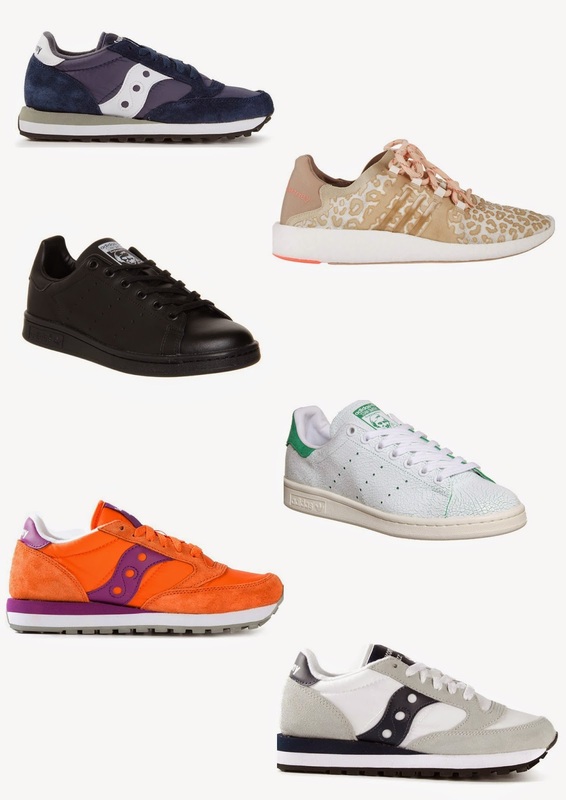 I was all over the list making aspect of the site as I am currently on the hunt for some new trainers! The sun is currently determining my footwear as its too hot for boots and maybe still a little to breezy for sandals so that calls for a new trainer purchase! I currently have all the usual suspects, the Adidas Superstars, Converse, Superga’s, Nike Air Max and New Balance. Come payday I'll be heading straight over to my 'Trainer Hype' lyst and will be purchasing one of the above, the question is, which trainer? Yep- deffo love a list too!! Omgosh, those animal print ones. FIERCE. I love a colourful sneaker, but I'm still struggling with what I will wear them with!